40 Acres: The Promise of a Black Pastoral through art, song, and dance.Second Saturdays for Families: Explore art with your family, encourage creativity, and expand your imagination through conversation and discovery. Each program is free and includes hands-on art projects, tours for families, live music, and engaging fun through film, theater and dance. Join us the second of every month year-round! The Palace Theater in Waterbury is setting the stage for a healthier New Year by offering a six-week yoga course on Monday evenings from Feb. 1 through Mar. 2. Registration for all six classes is $85 (203-346-2000; www.palacetheaterct.org; Box Office, 100 East Main St, Drop-in students are also welcome to participate for $20 per session. Participants of all ages and skill levels are invited to relax their mind and sculpt their bodies by practicing this ancient discipline in the beautiful halls of the historic theater. Each class is one-hour in length and will take place after normal work hours from 5:15 to 6:15 pm. Certified instructor Lisa Zembruski, has been practicing yoga for more than 25 years and has studied various types of yoga including Hatha, Baptiste Vinyasa flow, Bikram, Kundalini, and Iyengar. Her depth of experience includes teaching meditation, yoga Pilates fusion, kundalini yoga, and vinyasa power yoga for all ages, including children, teens, and senior citizens. Space is limited to the first 30 registrants, and participants are responsible for bringing their own yoga mats. Westport Country Playhouse has launched a New Works Initiative to develop new plays and musicals through workshop and reading opportunities involving playwrights and other artists.The program will make possible the development of two new works at the Playhouse in February – “Out of the Mouths of Babes” by Israel Horovitz, in partnership with New York’s Cherry Lane Theatre, and “The Rivals,” with book and lyrics by Peter Kellogg, music by Stephen Weiner, based on the 1775 play by Richard Brinsley Sheridan. For each project, the Playhouse will host workshops with the playwrights, actors, and other creatives, culminating with a reading before an audience. Dates and details will be announced soon. 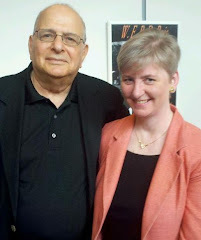 www.westportplayhouse.org; 203-227-4177, 888-927-7529. The Mark Twain House and Museum presents Mark My Words: An Evening with Larry Kramer 7 pm ,Saturday, April 16. The event will be moderated by Shawn Lang, Deputy Director of AIDS Connecticut. Kramer is an American playwright, screenwriter, public health advocate, and gay rights activist whose confrontational style of advocacy, while divisive, was credited by many with catalyzing the response to the HIV/AIDS crisis in the United States. He'll be in conversation about his life, his work, and his latest book "The American People: Volume 1: Search for My Heart: A Novel," a book he has been working on since 1981, and which was finally published as a novel in 2015. In the book, Kramer asserts that many iconic American historical figures, including George Washington, Abraham Lincoln, and Mark Twain, were gay. Kramer began his career rewriting scripts while working for Columbia Pictures, which led him to London where he worked with United Artists. There he wrote the screenplay for the iconic 1969 filmWomen in Love, and earned an Academy Award nomination for his work. Kramer introduced a controversial and confrontational style in his 1978 novel Faggots. The book earned mixed reviews but emphatic denunciations from elements within the gay community for his portrayal of shallow, promiscuous gay relationships in the 1970s. Kramer witnessed the spread of the disease AIDS in the early 1980s. He co-founded the Gay Men's Health Crisis (GMHC), which has become the world's largest private organization assisting people living with AIDS. Kramer grew frustrated with bureaucratic paralysis and the apathy of gay men to the AIDS crisis, and wished to engage in further action than the social services GMHC provided. He expressed his frustration by writing a play titled The Normal Heart. 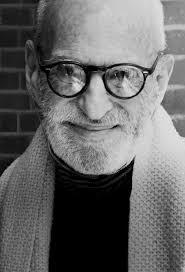 The conversation with Larry Kramer will be followed by a book sale and signing. Tickets are $25 / $20 members: 860-247-0998; marktwainhouse.org and click on Events. HSO and Goodspeed Celebrate the Best of Broadway will be presented 7:30 pm Saturday, Feb. 20 at The Bushnell, Hartford. Led by guest conductor Michael O’Flaherty, who is now in his 25th year as resident music director for Goodspeed Musicals, the concert will spotlight the best of Broadway through the years. This exciting partnership will feature the talents of the Hartford Symphony Orchestra, special performances by soloistsGizel Jiménez, Conor Ryan, Tony Sheldon and Laurie Wells, and aspiring professional performers from The Hartt School Musical Theatre Department’s Class of 2016. Some of the Tony Award-winning productions that will be celebrated in song include Guys and Dolls, Ain’t Misbehavin’, Hello, Dolly!, Spamalot, My Fair Lady, The Wiz, South Pacific, Rent and Les Misérables. The evening’s featured artists have all performed in past Goodspeed productions and boast numerous and diverse theater credits from Broadway and beyond. Gizel Jiménez performed the role of Caroline in Goodspeed’s The Theory of Relativity last spring. 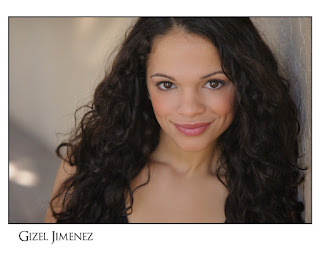 In addition to various regional theatre and Off-Broadway productions, she performed as Rosalia in the National Tour of West Side Story. Next up, Gizel will be taking on the role of Princess Anna in Disney’s Frozen at the Hyperion Theater in Anaheim, CA this spring. 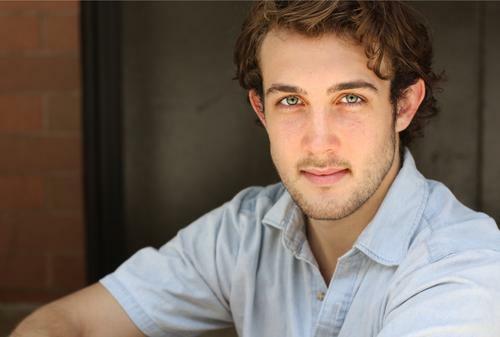 Conor Ryan was Jean-Michel in Goodspeed’s production of La Cage aux Folles. He starred opposite Kate Baldwin in the Off-Broadway revival of John and Jen, performed in Broadway's Cinderella, the Public Theater's production of The Fortress Of Solitude, and Second Stage's production of Invisible Thread. 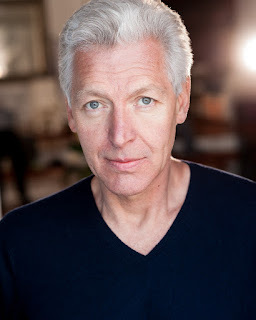 Tony Sheldon is a multi-award-winning actor whose portrayal of Horace Vandergelder in Goodspeed Musicals’ Hello, Dolly! earned him the Connecticut Critics' Circle Award for Best Actor. Sheldon played the role of Bernadette in Priscilla, Queen of the Desert for 1750 performances in Australia, New Zealand, London, Toronto and on Broadway, winning the Theatre World Award and nominations for the Tony Award as Best Actor in a Musical, the Drama Desk Award, the Drama League Award and the Outer Critics Circle Award. In London he was nominated for the Olivier Award and won the Toronto Theatre Critics Award and the DORA Award as Best Actor in a Musical. In New York he has starred with Brian Stokes Mitchell and Tracey Ullman in The Bandwagon at Encores/City Center, Mr. Magoo's Christmas Carol with Douglas Sills, and Art and Science with John Tartaglia. Laurie Wells played the dual role of Bobbi/Gabby in City of Angels and in the iconic role of Dorothy in 42nd Street, both at the Goodspeed Opera House. In 2014 she appeared in Sing For Your Shakespeare at Westport Country Playhouse. On Broadway and again with the National Tour company she performed as Donna Sheridan in Mamma Mia!. VIP Event Tickets which include an exclusive pre-show reception with the soloists are available: Mary Miko at 860.873-8664 ext. 368 to reserve. Christine Goerke, Lise Lindstrom, and Nina Stemme, three of opera’s greatest dramatic sopranos, take turns in the title role of the proud princess of ancient China, whose riddles doom every suitor who seeks her hand. Tenors Marcelo Álvarez and Marco Berti are Calàf, the brave prince who sings “Nessun dorma” and wins her love. Franco Zeffirelli’s golden production is conducted by Paolo Carignani. Shown on the Kate's BIG Screen! Nestled somewhere between power-pop and American folk you will find Willie Nile strumming his guitar. Nile has made admirers out of such names as Bruce Springsteen and Pete Townshend who personally requested him to tour with The Who in '82. His latest album American Ride, pools a mix of gritty, acoustic Bob Dylan, funky Ramones and everyman Springsteen, with a Petty-ish knack for melody and catchy singalong choruses. Get ready to step back in time as the Kate rolls back the clock to the 1950’s with The Corvettes. From New Hampshire to New Orleans and Virginia to Vegas, The Corvettes perform the great music of the Doo Wop era with a fresh new energy. Come hear your favorites including: Little Darlin’ - Whole Lotta Shakin’ Goin’ On - At The Hop - The Twist - Earth Angel - Rock Around The Clock - In The Still Of The Night - Twistin’ The Night Away. 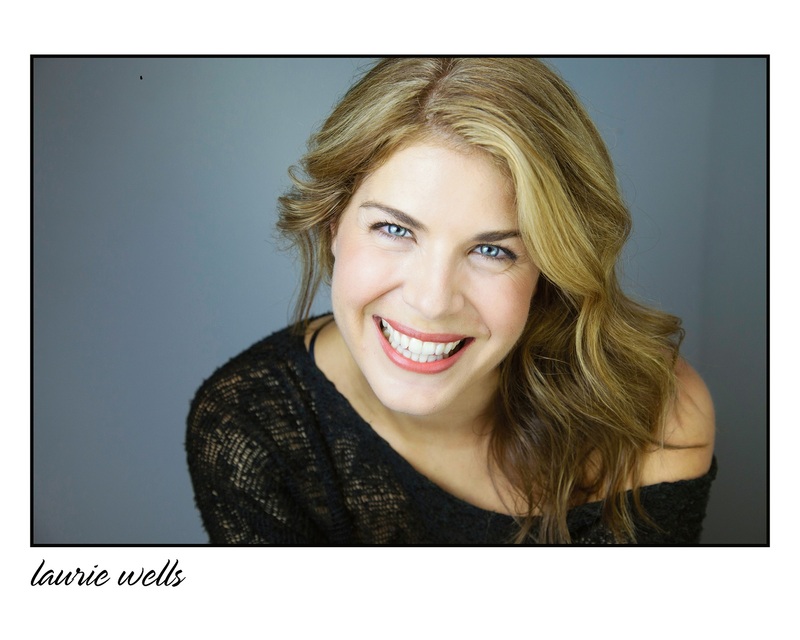 Kate brings to the screen a role she understudied on Broadway in the play of the same name. (She only went on once) Holiday brings together one of our favorite matches, Kate and Cary Grant in a story of an average guy Johnny (Grant) who is to marry his fiancé Julia (Doris Nolan) who he met on holiday, but finds that he just may have more in common with Julia’s sister Linda (Hepburn). Time: 2:00 p.m. & 7:00 p.m. The youngest of a famous musical family, Livingston picked up his first guitar at 13, recorded his first album at 18 and some forty plus years later teaches others stage performance as a full professor at the Berklee School of Music. Come watch him practice what he teaches at the Kate; it’s sure to be a fantastic evening. Playing songs of The Band- Featuring former members of The Band, Rick Danko, and Levon Helm Band. Interpreting the music of The Band is an art- Songs that have reverberated across history for decades continue to speak to millions of us. The Weight brings those songs to the Kate for one night only, and it’s not to be missed! When Mipso’s 2013 debut, “Dark Holler Pop,” rose to #8 on Billboard’s Bluegrass charts, the success surprised a lot of people – Mipso’s four members included. Since then, they’ve shifted their focus a little away from bluegrass, introducing new instruments and textures to create a distinctly different sound. Matched with imaginative songwriting, MIPSO is known for a sound that is powerfully rhythmic, lyrically sharp and beautiful four-part harmony. Jonatha Brooke has written songs, made records, and toured since being part of her original duo, The Story. She’s an American folk rock singer, songwriter, and guitarist from Massachusetts who writes with poignant lyrics and complex harmonies. Jonatha’s also co-written songs with Katy Perry and with The Courtyard Hounds along with three Disney movies and several TV shows along with writing her own one-woman play. We welcome this multi-talented force to the Kate. An incredible night featuring the Daughters of Rhythm and Blues! Rhonda Ross (Daughter of Diana Ross and Berry Gordy) joins Robyn LaJoya Charles (daughter of Ray Charles), and Carla Cooke (daughter of Sam Cooke). If you’re looking for a powerhouse show, look no further. This trio is honoring the music of their parents, while creating sounds all their own. The Kate and Florence Griswold Museum comes to you with the second in this year’s series: The Girl with the Pearl Earring and other treasures from the Mauritshuis Museum Netherlands. Girl with a Pearl Earring by Johannes Vermeer is one of the most enduring paintings in the history of art yet the painting itself is surrounded in mystery. This beautifully filmed new documentary seeks to investigate the many unanswered questions associated with this extraordinary piece. Who was this girl? Why and how was it painted? Why is it so revered? When blues legend James Montgomery plays the harmonica, he “brings it home.” Whether it’s recording with Kid Rock, sitting in with Gregg Allman, or fronting his hot band of thirty years, Montgomery is simply one of the best. Montgomery is joined by special guest, Kerri Powers, who returns to the Kate with her homespun, sparse and understated sound paired with incredible expressive song writing and interpreter of the great works of others. Get ready to laugh! Ivy League of Comedy returns to the Kate this February with an All-Star lineup. Jon Fisch made his late night television debut on Late Night with David Letterman and has appeared on Comedy Central. Frank Vignola is a 20 plus year veteran of the NYC comedy club scene. Shaun Eli, in addition to being the man behind Ivy League Comedy, brings his quick wit and hilarious storytelling to wrap up an evening guaranteed to make you leave with a smile. Broadway comes to Old Saybrook in a big way when Tony Award-winning singer and actress Betty Buckley takes the stage. She won a Tony for her performance as Grizabella in Cats, an Olivier nomination for Sunset Boulevard, recorded 12 CDs, (2 Grammy nominations), appeared on TV and dozens movies. Join us for a special night. The Kate’s annual red-carpet event that honors our 12-time Oscar Nominated, 4-time-winning namesake and makes for a great party and fundraiser. Walk the red carpet. Pose for a photo or two. Hold a real Oscar. Watch the Oscars live on the Kate’s gigantic screen as you indulge in delicious appetizers, treats, and beverages. Come and celebrate like a star! Benjamin Scheuer. Photo: Matthew Murphy. Some stories just have to be sung we’re told in the subtitle of “The Lion playing at Long Wharf Theatre. 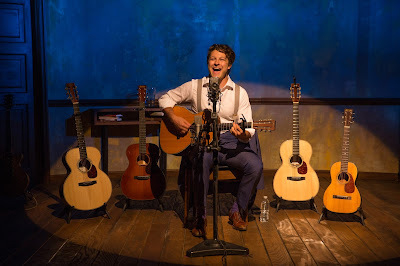 And we’re grateful writer/performer Benjamin Scheuer understands that as he shares this love song to his father in a deeply moving and personal memoir which won him a 2015 Drama Desk Award for Best Solo Performance. As a young boy, Benjamin is in awe of his folk-singing, guitar playing father. The opening number lovingly remembers how his dad made him a banjo out of a cookie tine so he could play along. It’s charming and Scheuer, with his boyish good looks and winning smile is charming. But then, with the jolt of the wrong chord spoiling a melody, the story suddenly turns dark. The music loving dad isn’t always fun to be around. A volatile temper and depression make living in the home with his parents and two younger brothers a challenge. When his father tells Benjamin he can’t go on a back trip because his grades are slipping, the two have an argument that results in estrangement and guilt-ridden consequences for young Ben. Later, music tells the story of his battle with cancer and how the family he took for granted rallies around him. 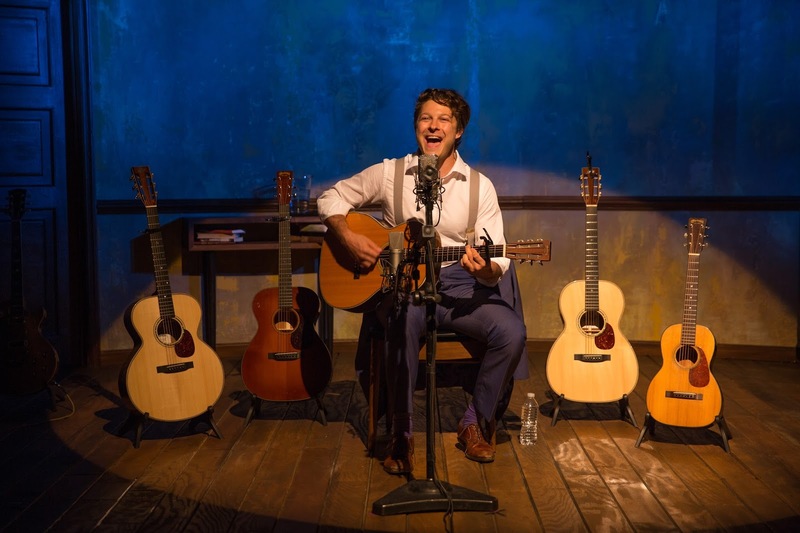 Armed with six different guitars on a simply dressed set (design by Neil Patel), Scheuer sings his way through the emotions of life while learning about love and forgiveness. In a nice touch, mood can be heard in the type of guitar played (acoustic for light melody, for example, and electric rock for harder issues). And "The Lion," by the way, refers to a song his dad sang when he was little about what makes a lion a lion. Is it his roar? Director Sean Daniels helps guide the performer through the blast of emotions to find a sharp, melodic tune. We feel for what Scheuer has been through and admire a person who seems to be upbeat about life despite its difficulties. It’s quite a satisfying 75 minutes with no intermission. That smile is contagious. Long Wharf is a tour stop for Scheuer, who also will be singing his tale in Washington DC and Pittsburgh (and as a side note, it began development right here in Connecticut at the Goodspeed. Visit benjaminscheuer.com for more information. (203) 787-4282; www.longwharf.org. Enjoy a listen at the video below. at the Wadsworth Atheneum Museum of Art! Celebrate the powerful message of Dr. Martin Luther King, Jr. with a day of big dreams, self-expression, and powerful messages. This free, family-friendly event is a perfect opportunity for people of all ages to connect with the transformative power of art and the spoken and written word. FREE ADMISSION 10 AM - 5 PM! Join us as we collaborate with the Wadsworth Atheneum for a day of performances and workshops including guided gallery meditation, "I Have A Dream" live reading, Studio 860 dance performance, Freedom: In Three Acts performed by Bated Breath Theater and all day art making activities. This will be the final day to view our current exhibition, "This is my Story, This is my Song." The Amistad Center will be running the film of Dr. King's "I Have A Dream Speech" and a word wall will be on display for visitors to leave a note or message of what inner strength means to them. The day's schedule of events is below.DREAM BIGAll Day: Make a Dream JournalCreate and decorate your own dream journal to keep track of your ideas, hopes, goals, and dreams. Share your biggest dreams with Dream Chaser #1 from the Dream Support Network and receive a free ice cream! 10 am - 4 pm: Martin Luther King, Jr. I Have a Dream SpeechThe Amistad Center - Second FloorListen to the original footage of MLK's powerful speech. Learn more about Ice Cream for a Dream with this mini documentary and meet Dream Chaser #1. SHARE A MESSAGEAll Day: Sketch & Send a PostcardSketch an artwork that makes you feel happy, calm, or joyful. Then, mail your sketch to a friend or family member. Create your own poetry using magnetic poetry boards. Meet The Amistad Center for Art & Culture's Teen Advisory Group (TAG), and participate in a book-sharing activity. EXPRESS YOURSELFAll Day: Words of Wisdom with Natasha MilesJoin teaching artist Natasha Miles and create a personal symbol inspired by the symbols of different cultures. Stop by the stage in Morgan Great Hall to see how spoken word poetry, drums, dance, and music work together to send a powerful message through performance. Mixed Media performance partners include Hartford CityShare, the Iron Poet Series, Gerard Hector, and Island Reflections Dance Theater Company. TOURS11 am, 1 pm and 3 pm: Ask About ArtExplore meaningful messages in art through a docent guided tour of our American Art collection. THE AMISTAD CENTER FOR ART & CULTURE founded in 1987, owns and exhibits a vital collection of 7,000 works of art, artifacts and popular culture objects that documents the experience, expressions and history of people of African descent. The Amistad Center is an independently incorporated and managed not-for-profit 501(c)3 organization, located in the Wadsworth Atheneum Museum of Art. The Amistad Center is not related to the many other organizations in Connecticut and across the country who share the name Amistad. Amistad is a popular choice as it remembers a significant event and calls to mind African American strength and history. We celebrate art and culture influenced by people of African descent through education, scholarship and social experiences.